I've actually been meaning to go into my local lush store, but whenever I've gone to the shopping centre where it is, it's a tiny shop that's always rammed with customers. My worst nightmare! I don't really like tiny spaces filled with tonnes of people. So this lush store is literally smaller than the bathroom in my parents house. It's teeny tiny! Today however, I jumped right in, not literally though because that would look so strange. 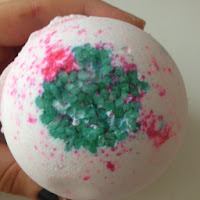 I walked in and was surrounded by amazing smells and gorgeous looking bath bombs and soaps. I didn't buy tonnes of things as to be honest, I don't have the money to right now leading up to christmas so I bought myself a couple of things to try out. I was looking at all the cleansers and beauty products that they had and came across a product called 'Ultra Bland' it's a cleanser that removes dirt and makeup. 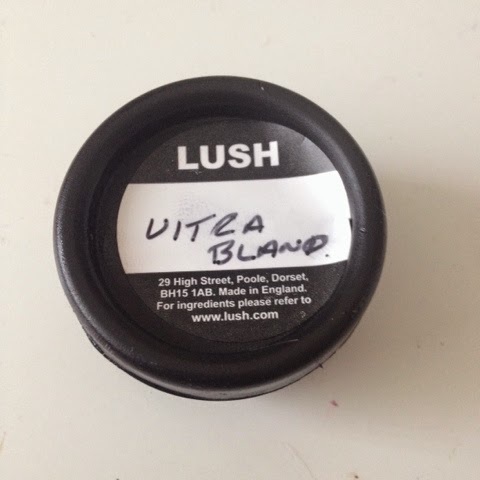 I didn't actually buy this as the sales assistant saw I was unsure about it.She gave me a sample size of this, it's a little pot and she actually filled it to the brim which I was really surprised about. I'm looking forward to using this as a cleanser, I've had to go back to using make up remover wipes - hands head in shame. The wipes seem to have created more problems than solved so I'm looking for a good cleanser thats worth the money I pay for. So I'm going to give this a try out and maybe treat myself to a large pot for christmas! Look out for a review on this product in the next week! You can buy a pot of ultrabland from your local lush store or online here, there are two prices for the different size pots. This purple beauty is the Twilight bath bomb. This one is meant to help you sleep as it has a lavender fragance which is meant to be a soothing, mind clearing and calming fragrance. 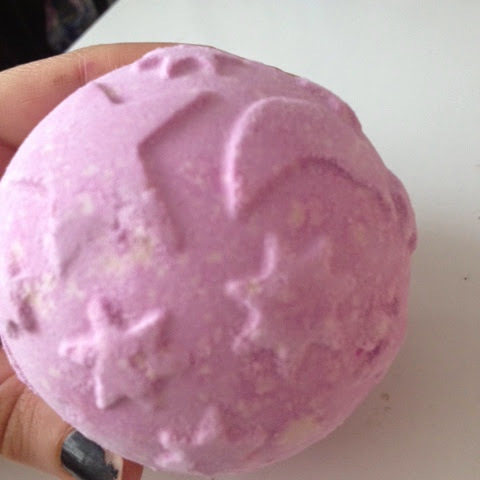 I loved the smell of this one and it's got a really pretty purple colour to it. I can't wait to pop this into my bath after a long day at work. I've been struggling to sleep recently so I'm hoping that this will help me out. 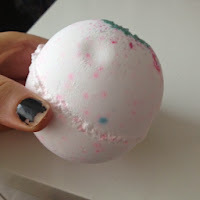 This is the Sakura Bath Bomb. It looks so cute and pretty. 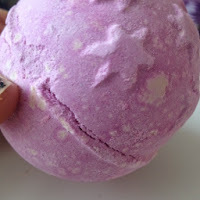 It's very different to the Twilight bath bomb I bought, it's fairly plain apart from the splodge on the top where it's really colourful and looks like a crystal. It smells a little floral and doesn't smell overpowering, it's quite sweet so I think I'm going to enjoy this one. This little cutie is the Butterbear! 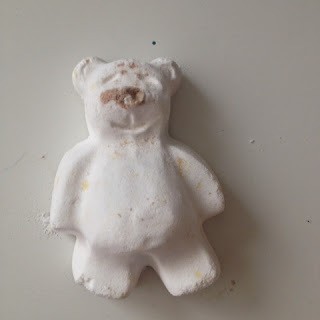 It's so cute I just couldn't resist picking this little teddy up! It's made from cocoa butter and has a vanilla fragrance to it so I was pretty much sold from the word cocoa. 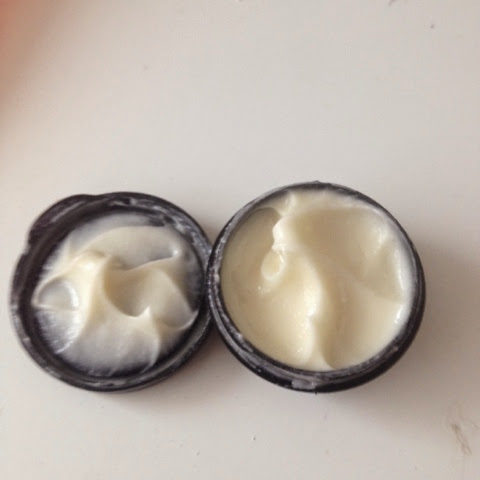 I love the smell of vanilla and think this will make my skin feel and smell amazing! 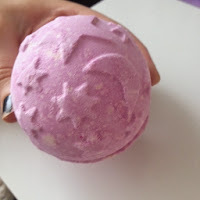 I picked this one up right by the till as I was paying for the other two bath bombs - damn those sneaky sales people trying to make me buy more stuff just because its so incredibly cute! So there you have it! My FIRST mini Lush haul for you guys. I really can't wait to try all four of these items and I will definitely be writing a review of the Ultrabland cleanser. What products do you recommend from Lush?